Everybody in Carrie Vaughn’s latest novel is guarding a deeply personal secret. Superheroes, supervillains, mothers, fathers, grandmothers, sisters, friends, frenemies, police captains, and chauffeurs—they’re all concealing something untold from each other. Keeping secrets is an important part of being a superhero. But relationship counselors agree; being sneaky and untruthful is a lousy way to live life as a fully functioning, mature human being. Celia West is a perfect example. She’s been surrounded by secrets her whole life. 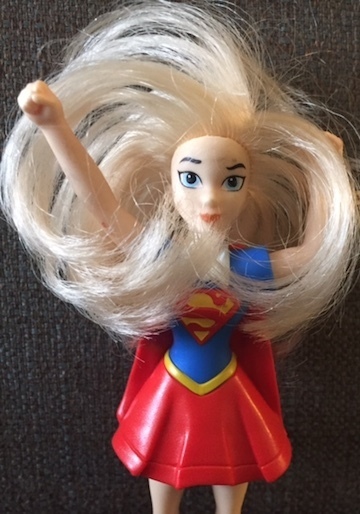 As the only child of Captain Olympus and Spark, two of the greatest superheroes in Commerce City (for more backstory, check out After the Golden Age), Celia knows a thing or two about privacy and appropriate decorum. She’s also the mother of two quarrelsome teenage girls. And everybody knows teenagers are a super secretive bunch. On top of everything else, Celia’s got secrets of her own. For one thing, she’s been tracking youngsters in Commerce City who exhibit superhuman abilities. And furthermore, she’s been manipulating these kids (and their families) in order to orchestrate a fraternity of superheroes. In other words, she’s a noodge and a meddling buttinsky. Unbeknownst to Celia, however, her 17-year-old daughter has recently developed superpowers of her own. Anna hasn’t popped up on her mother’s radar yet because she’s been hesitant to embrace her superheroic legacy (“I’m not a superhero,” she says. “I’m just a freak with a parlor trick”). Ultimately, the secrets Celia and Anna keep from each other lead to deadly consequences down the road that could have been easily avoided. And that’s the author’s point, apparently. Communication is the key to everything. It’s especially important in a world filled with secret agendas and alter egos. Interestingly, Celia’s husband (and Anna’s father) is a telepathic superhero named Dr. Mentis. Because of his mindreading super powers, nobody can keep a secret from him. But because he respects everyone’s privacy, he stays disconnected from the drama surrounding him. Despite his good intentions, his hands-off parenting style is as flawed as Celia’s helicopter parenting methods. After the conflict is resolved and the novel ends, both he and his wife need to take a refresher class on how to raise kids. 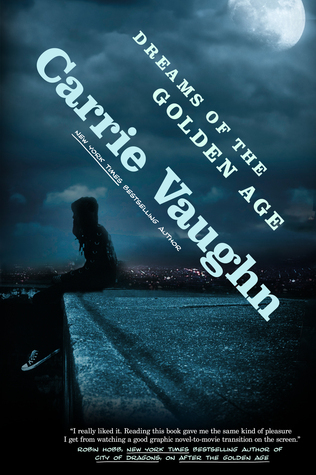 This entry was posted in Published in 2014 and tagged Carrie Vaughn, Dreams of the Golden Age. Bookmark the permalink.